The season of giving is upon us, and member organizations of C2 are organizing various drives to support families who could use some help over the holidays this year. For Thanksgiving, the Junior League of Westchester-on-Hudson is looking for monetary donations to help them reach their goal of funding 28 food baskets to go to members of St. Teresa’s Church in Sleepy Hollow. The cost to fund a full Thanksgiving basket is $59; a half-basket costs $28. Please make donations via the Junior League’s e-store at http://www.jlwoh.org/estore. The RSHM LIFE Center is also collecting $30 donations (cash or check) to support a holiday meal (chicken, rice, beans, apple pie, apple cider, and fruit) to be given to families at Thanksgiving. Please make out checks to “Giving Thanksgiving” and drop them off or mail them to RSHM Life Center at 32 Beekman Avenue, Sleepy Hollow, New York, 10591 by no later than Friday, November 16th. 3) Open Door Family Medical Centers seeks donations of new, unwrapped toys and gift cards (monetary value of approximately $20) to give to their young patients (newborn through age 14). 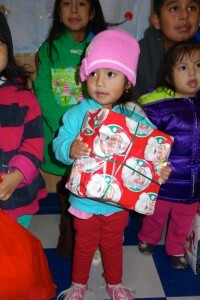 Donations will be accepted from now through December 19th at Open Door, 300 North Broadway, Sleepy Hollow, or visit their online wish lists at: amazon.com (Open Door Holiday Toy Drive) or Kohls.com (Celebration # 3235617). To learn more, please contact Jane Levy, Manager of Volunteer Programs, at jlevy@odfmc.org or 914-502-1468.